For three decades, the signature “W.C. Hook” has connoted dynamic design, saturated color, and muscular brushwork. William Cather Hook’s ability to straddle the border between pictorial illusion and pure paint, between traditional yet modern, has won him collectors worldwide. Less well-known about this master of acrylics is the breadth of his subject matter. In this retrospective of paintings dating from the early 1980s to the present, Hook guides the reader on a journey that includes the back roads of northern New Mexico, the high country of the Colorado Rockies and Sangre de Cristos, California’s Pacific coastline and central valley, the reaches of the Sonoran Desert, and historic vistas in England and Italy. Whether depicting crashing surf, aspen forests, or luminous big skies, Hook’s vision is inviting, vibrant, and infused with radiant light. The former editor of Southwest Art magazine, Susan Hallsten McGarry, has authored much more than just a picture book as she explores Hook’s working methodology and his biography, from his Kansas roots to his current studios in Santa Fe, New Mexico, and Carmel, California. 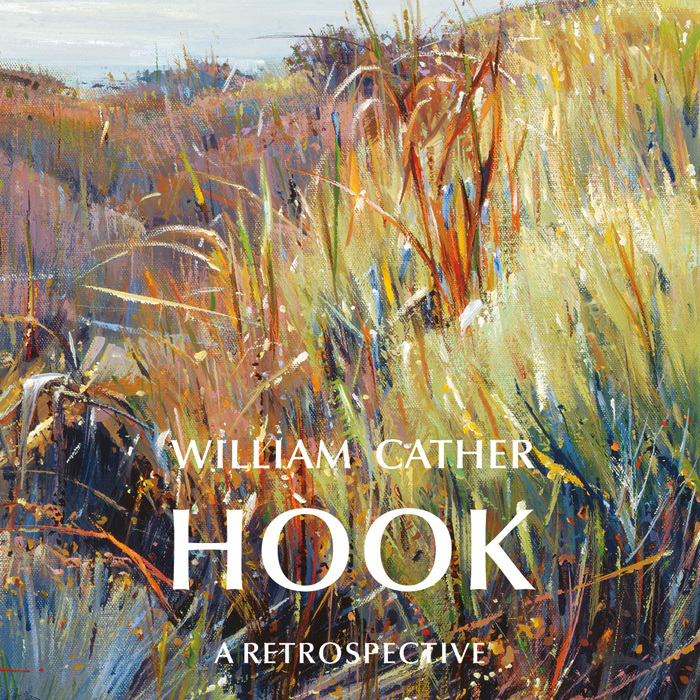 Hook’s namesake cousin, Pulitzer Prize winning author, Willa Cather, is deftly quoted throughout the book as her love of the land parallels Hook’s passion for capturing the nuances of earth, sea, and sky. SF Design/Fresco Books is responsible for the design and production, with printing in Italy. 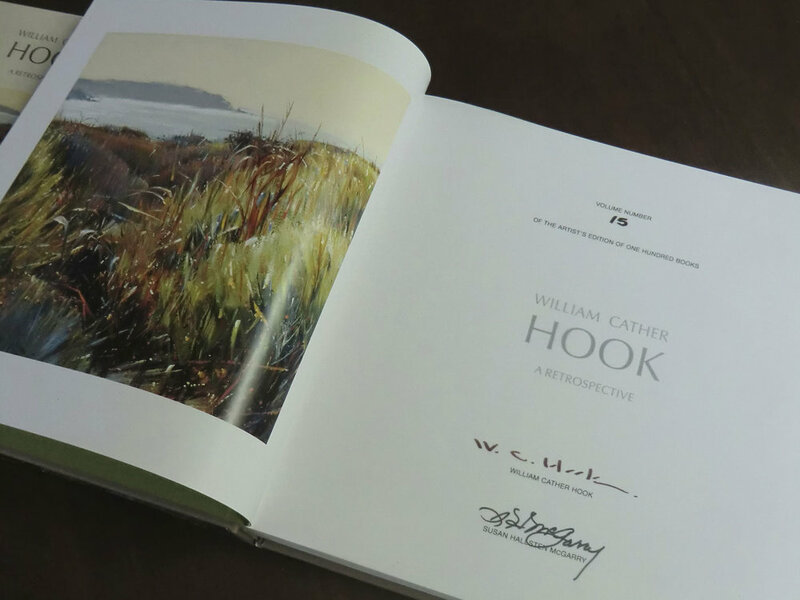 The superior quality printing provides every page with brilliant color reproduction that remains true to each of Hook’s dazzling paintings. These edition options are ONLY available through this website. Thank you! We will be in touch shortly to finalize the order and collect payment and shipping information.